If necessary, download windows virtual PC on www.microsft.com/windows/virtual-pc/download.aspx. Select download windows virtual PC without window XP mode. In the select system drop down list,select the version and edition of window you are running on the host computer. In the select language drop down list select your language. In the window validation required window, select continue. In the window validation was successful window, select continue. When your are prompted to open and save file. Select save. When download is complete, select open folder. In the user name > Downloads folder, open the file you just downloaded. The file that is displayed depend s on the selection you made for the system and language. When you are prompted to install the windows software update , select yes. When installation is complete, select Restart now. When the computer finished restarting and boot up, log on to the windows. To create a VM on the computer, select start windows virtual PC. In the user name > virtual machines folder, select create virtual machine. Specify a name and location for the virtual and select next. Specify memory and networking options and select next. Specify in the type of virtual hard disk for this VM if necessary, check Enable undo disk and select create. Select > windows virtual PC. 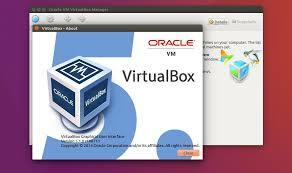 In the virtual machines window, double click the name of the VM you want to start. The first time you start time you start a VM after creation you will get a message. “Reboot and select proper Boot device” or insert Boot media in the selected Boot device because there is no operating system installed. After an operating system is installed on the VM, when you start your VM , you might be prompted to log on to windows. Finally there are times you might want to increase the memory on youe VM to do that you might likely shut down the Vm. In the Virtual machine windows select the VM and select settings. In the windows virtual PC settings window in the left pane , select MEMORY. Adjust the value in the memory ( RAM) text box and select OK.
Take your time and share this tutorial with your friends. that is great and informative post!